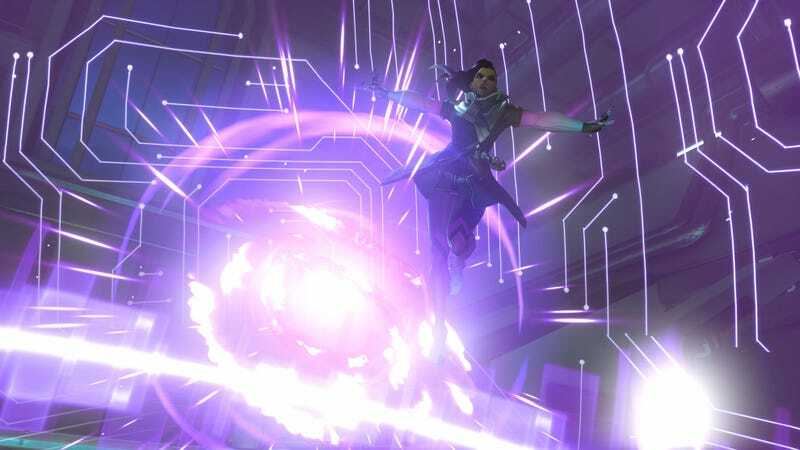 Esca used Sombra’s invisibility to sneak behind enemy lines on Anubis. With slick timing and a bit of luck, he seemed on track to pull off an impressive play. All the while, his teammates hammered Mighty Storm’s Reinhardt with everything but the ancient Egyptian sink as a distraction. Before long, even the commentators started taking Esca’s troll pick seriously. Then the camera turned away from Esca to focus on action elsewhere. When the broadcast turned its attention back on Esca, he immediately got spotted by Mighty Storm’s Ana, slept, and bodied. He wasn’t even able to mount meaningful offense against a haggard old hero who has no business getting into up-close fisticuffs against Sombra’s speedy arsenal. People laughed. “Well, he tried,” said one of the commentators.